My baby girl is now a middle schooler – how did that happen so fast??? My husband and I attended our first Open House at the Middle School – very different than Elementary School Open Houses where you meet only one teacher. As I was sitting through 9 different presentations in the mom mindset, it got me thinking about what parents really want to hear from teachers . . . . Instead of beginning with your typical presentation . . . Speak for 30 seconds to a minute in the target language. Yes, we want to hear what you sound like! Give parents a taste of what it’s like to be a student in your class. If you do this, they’ll be sure to remember your class at the end of the night. Instead of speaking in a very professional, business-like voice . . .
Let your true voice and effervescent personality shine through. 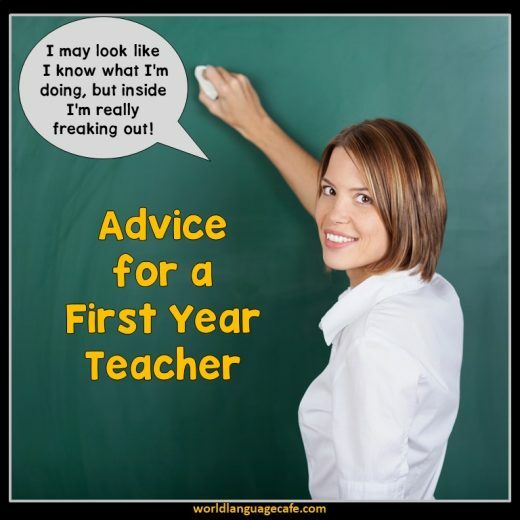 Language teachers are fun and spunky and parents love seeing this side of you. 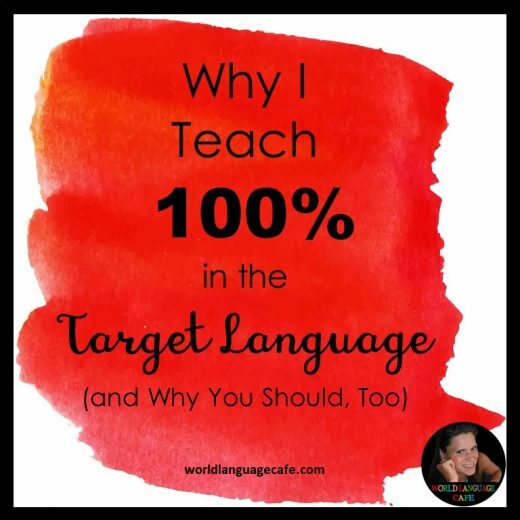 Play music in the target language as they enter the room. (Now I know that Open House is a long, long day and that you’re so tired by the time they arrive, but now is your moment to shine. Do what you need to do to get pumped up: coffee, dark chocolate, etc.). Instead of passing out a boring handout . . .
Add fun fonts, borders, and a cartoon to your notes. For cartoons, try some Calvin and Hobbes in Spanish – so funny! I add these to the bottom of most of my quizzes and tests, too, because they make the test taking experience a little less tense. The students love them! Instead of only talking about curriculum and grading . . . Spend 1 minute telling us more about yourself. Where did you go to school? Why did you decide to teach? What do you like to do when you’re not teaching? Do you have a family – any kids or pets? Instead of showing a PPT presentation with grammatical and capitalization errors . . . Check over everything that you will be showing or handing out to the parents. 7 out of 9 of the presentations that we saw had mistakes. As a parent, it doesn’t give you a lot of confidence when the teacher makes mistakes that your kids shouldn’t be making. After you have checked over your work, exchange with another teacher and check over each other’s presentations. Fresh eyes will catch more errors. Instead of spending a lot of time telling us grading policies . . . Put all that information in a handout, and go over it fairly quickly. Spend more time telling us what a typical day or week in class might be like. Instead of listing off the topics that you will be covering this year . . . Instead of hanging up decorations in your classroom . . .
Have students write something that can be displayed in your classroom (if you’re lucky enough to have one). Parents love to see work that their child has done and it shows parents that students are learning something in class. During the last minute or two, let the parents walk around and find their child’s work. This will give you a chance to talk to those parents who want to introduce themselves or ask questions. 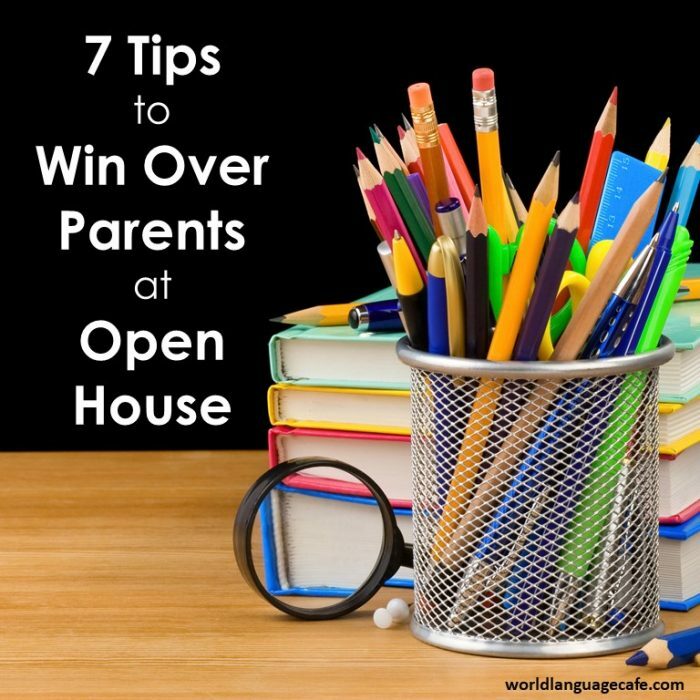 Hope these tips help you rock your Open House and win over the parents! 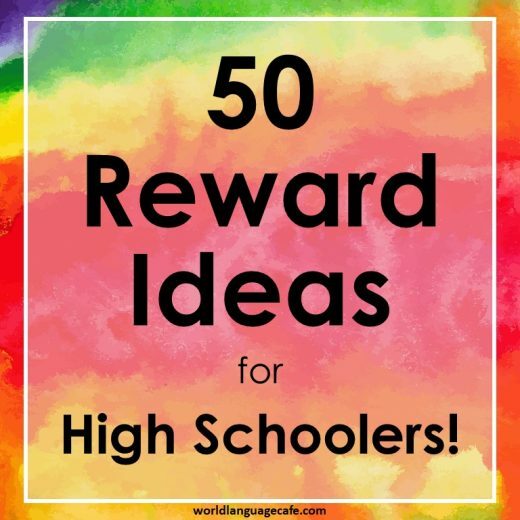 Would love to hear your Back to School Night ideas in the comments section of this post. I wish I could use these. Our open house is in October and is basically a string of 5 minute conversations with individual parents; we don’t do presentations, etc. The expectation is that we discuss grades, expectations of the course, and any concerns with the parents. It’s basically parent/teacher conferences except they aren’t long enough to really mean much.